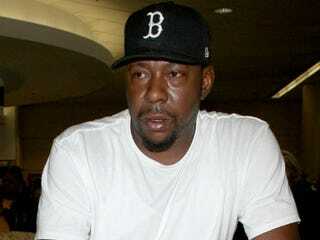 Bobby Brown arrested on suspicion of DUI: The Los Angeles Times reports that singer Bobby Brown was arrested in the San Fernando Valley on suspicion of driving under the influence. Officers pulled him over for talking on his cellphone but then administered a field sobriety test, a California Highway Patrol officer said. Obama embraces "Obamacare" label: Many on the right have used it as a bad word, but Obama is fine with the term, saying, "That's OK, because I do care." Bobby Womack diagnosed with colon cancer: The singer-songwriter has been diagnosed with colon cancer, according to a message posted by his longtime friend Bootsy Collins on Facebook. Funk bassist Collins said he spoke to the soul musician over the weekend, the Chicago Tribune reports. Black friend defends George Zimmerman: Does his insistence that the neighborhood-watch captain who shot Trayvon Martin is remorseful do anything to change your perception of the story?